Facebook is the world’s largest social network and a leading platform for targeted advertising. However, it may be difficult at first to navigate the Facebook for Business page and its many options for your intended purpose and outreach. The truth is social media is a complicated system. The Internet is overcrowded with tips on social media marketing topics and the Facebook Help Center has thousands of pages for one to navigate. Here’s the good news: we are going to make this process easy for you. In this post, you will not find vague advice like use cool images or write creative texts for calls to action in your ads. 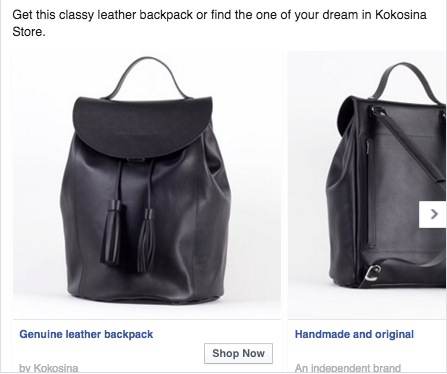 Furthermore, we won’t steal your time with a superficial description of obvious Facebook ad options, and the advice to choose from them what best suits your product or company. 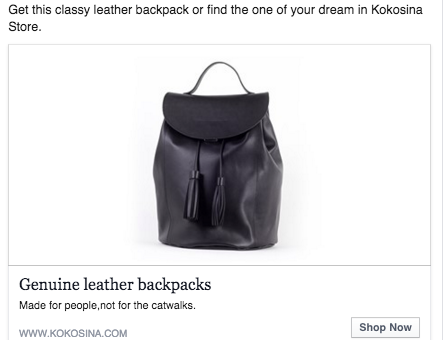 Instead, we will build a real advertising campaign step by step using the Kokosina online store as an example (they sell awesome bags, check them out! ), and you will be able to see the growth and results with your own eyes. But first, a bit of theory. It’s really cheaper. 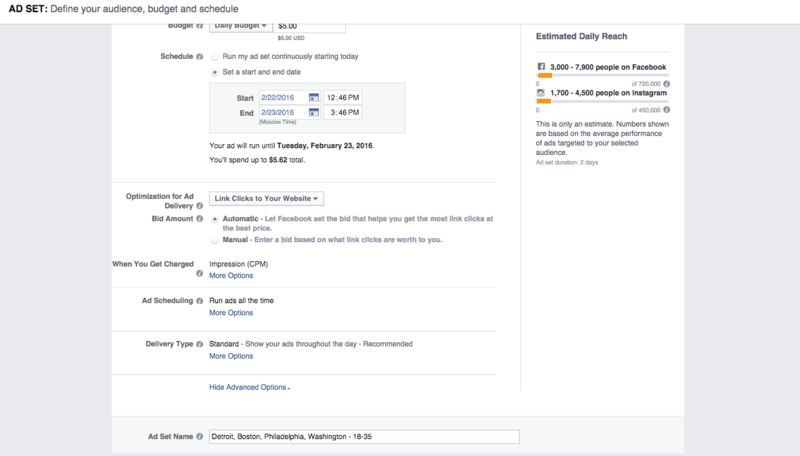 Facebook gives a priority to best performing ads and shows them more often for the better price. It’s more effective. Targeting allows to reach the right people easily. It’s less time consuming. Actually, to create an ad campaign will take you from 1 to 15 minutes. It fits all the marketing goals. Whether you want to attract new customers or to give a special offer to the loyal ones, Facebook will let you do it. You don’t have to fuss around your campaign. Most of the work is done automatically. Just watch your budget. If you still need more, read key reasons you need to advertise on Facebook. Okay, now let’s see how all these things work. First, study Facebook’s Advertising Policies. Did you know that you are forbidden to entice likes in your ads, or that you can’t use images with weapons pointed at the person who sees them? There are many details to be aware of during the creation process of your advertisement. As soon as you have reviewed these rules, click Create ads in the drop-down menu. Next, Facebook will create an ads account for you with most of the settings filled up automatically based on your page data. An important note: Once you set your form of currency and timezone settings within this account, you will not be able to change them. If this is a problem in the future, you will have to deactivate your ad account and create a new one. Facebook will do this automatically if you try to change and save these settings. 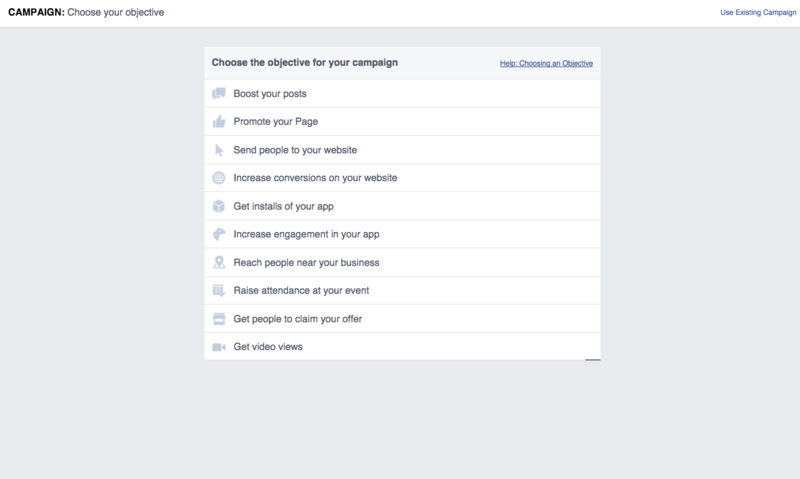 Facebook will create the ad account and then ask you to choose its objective. You can learn more about objectives by clicking for help, but generally they are quite clear and self-explanatory. Website clicks: Chasing this objective will send the maximum amount of traffic possible to your website, aiming to create conversions in the future. Website conversions: This means to set up a pixel on your landing page which tracks conversions and the audience that visited the page, so that you may optimize the ads for them. In some cases, this option can be much more affordable, so that is something worth considering. If you are looking for a way to maximize the impact of your Facebook ads, use Sell on Facebook solution by Ecwid. 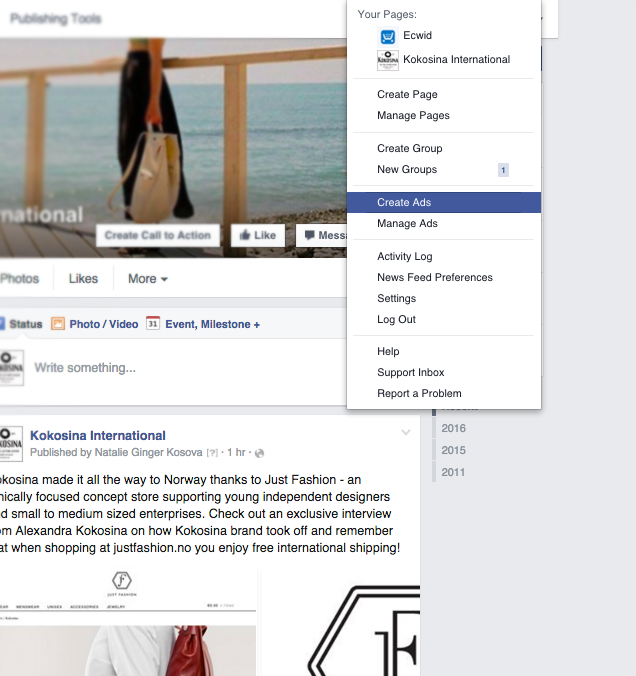 It’ll enable you to export your products to the Shop section of your Facebook business page. 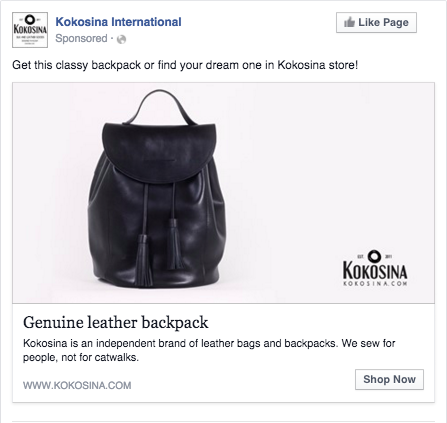 This Shop integrates with various Facebook ad formats, including Dynamic ads. 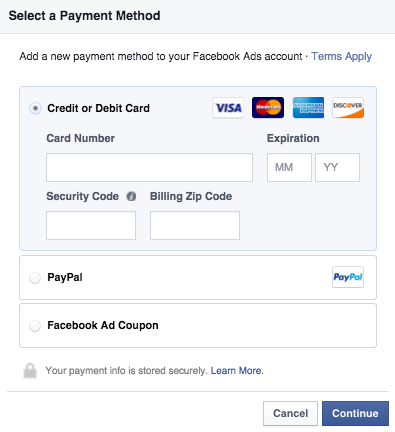 You can also add the Facebook pixel to your store and retarget store visitors on Facebook. Create an Ecwid account and add your products. Go to Sales Channels → Sell on Facebook and click Connect Facebook page. Select the Facebook page where you want to add your products and click Save. That’s it! Now you can go back to your Ad Manager to create your ads. 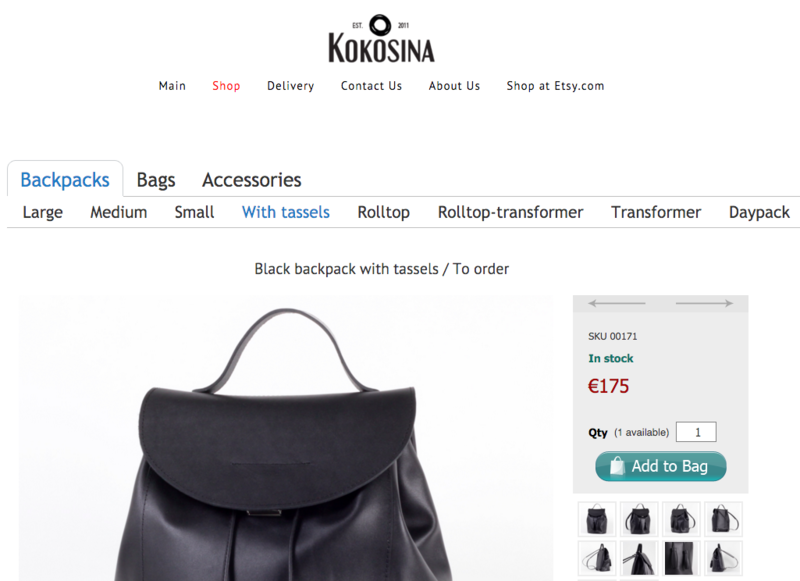 The Kokosina store is powered by Ecwid and sells genuine leather bags and backpacks. 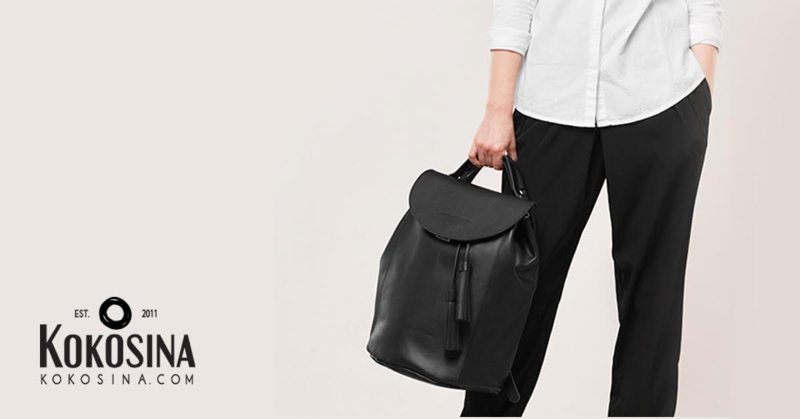 The bags are made in the EU and sold worldwide. Their personal motto — We sew for people, not for catwalks — perfectly reflects our aims. 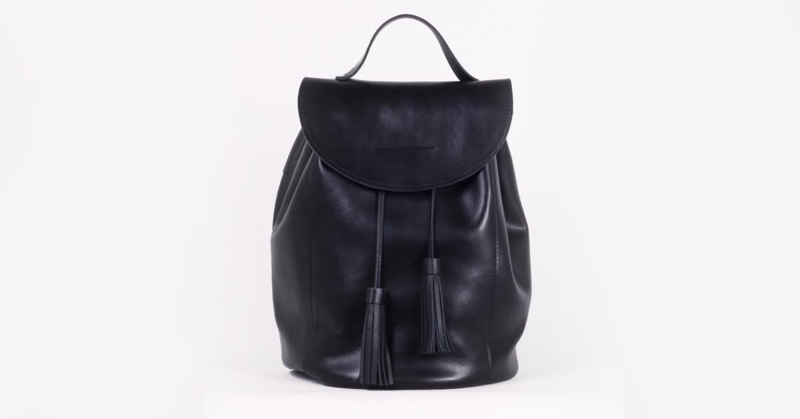 We will try to sell their classic black backpack to people on Facebook, and send the traffic right to the product page. This aspect of advertising is no less important than creating a compelling ad. Marketing is not only about being creative, it is also about precise and focused planning. 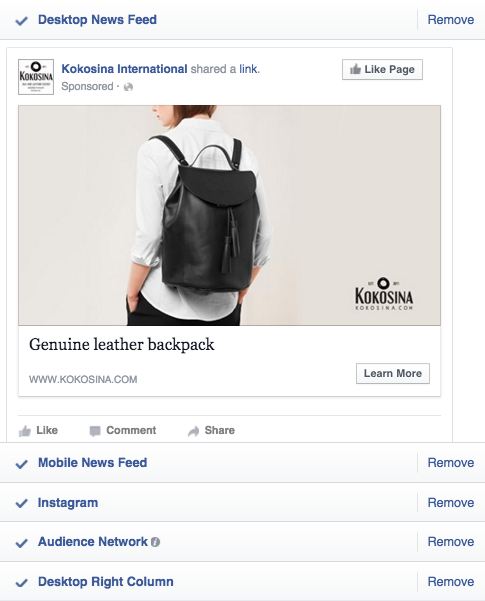 Facebook has set up a multitude of ways to get your ads in front of the right people. If your aim is to attract new people, but you don’t want to show your ads to every other stranger, use the lookalike audiences tool. This will find a group of people that are likely to be interested in your product or business. To do so, go to Power Editor in your Ads Manager and click Audiences — Create new audience — Lookalike audience. 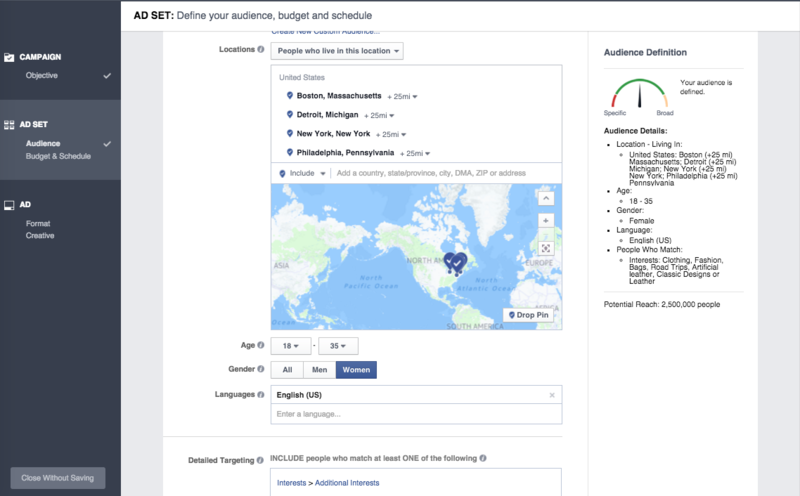 Next, you can choose the exact country and location you want to advertise to and the prospective audience size. Tip: if you sell worldwide, try not to focus your ads to the United States. A majority of companies and products do this, and consequently, the American online consumer base is more difficult to reach and make an impression on. Another available option is to create a custom audience based on an email list or the people who visit your website. We will create an audience without any additional tools to test this feature. 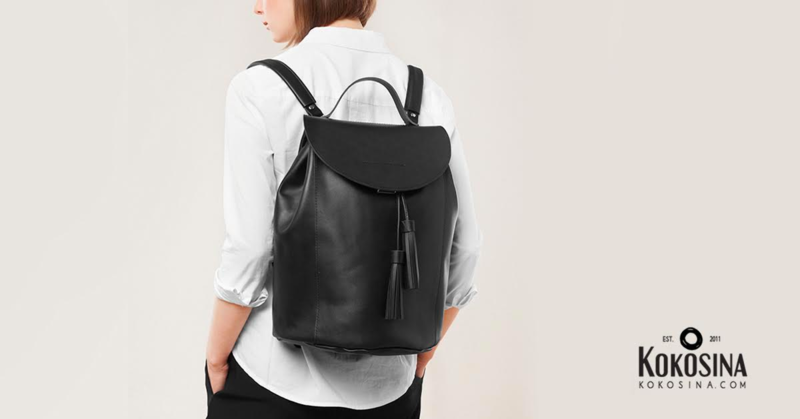 To sell the backpacks, we picked women (since it’s not a unisex backpack) from the ages of 18 to 35 living on the east coast of United States. We did this also because it makes delivery as quick as possible, which is an aspect worth considering. Do not choose the whole country. Tip: before starting a campaign, create a portrait of your potential customer. You don’t need to set a language until you are targeting several countries at once or want to reach foreigner consumers. While bags and backpacks go without saying, we also added in road trips, as we think our potential audience might enjoy travelling. The field Connections will help to include or exclude people who have already liked your page, took part in your event, or used your application. Include these people in special offers and discounts for your business or exclude them if you want to attract new customers. You will absolutely need this audience later, so save it by ticking the box. Our final potential reach was 830,000 people. As this is a test campaign, we will not narrow it further. Facebook optimizes pricing to find the best offer, but you shouldn’t trust it blindly until you get a feel for it. Always set the end date for your campaign! You will be attaching a credit card number to your account, so you may forget and spend far more on the ad campaign then you planned to. For your first time, it is good practice to set the daily budget to less than 5 dollars and limit the campaign to 2 days. It is cheaper to pay for impressions than for clicks. However, test this yourself if you plan to advertise on Facebook for an extended period of time. The rest of the settings are available only for lifetime budgets. So, let’s save what we’ve got and move to the advertisement’s creative side. You can place your ads in many places beyond Facebook’s site itself. 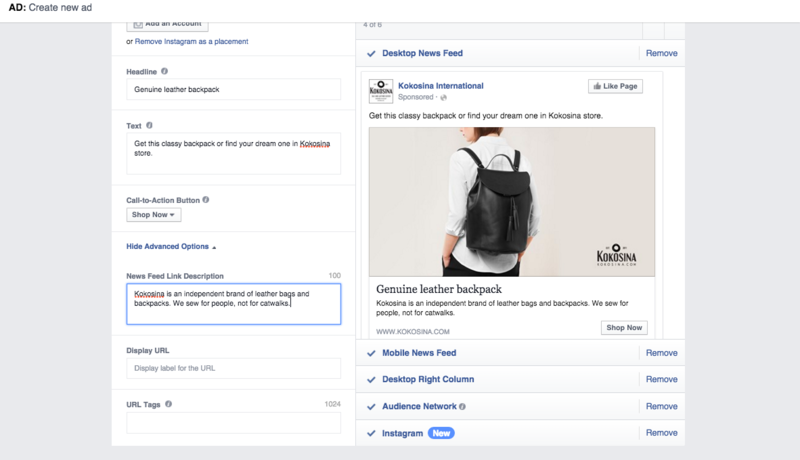 For example, Facebook ads are recently integrated with Instagram, so you can advertise your products there even if you don’t have an Instagram account! Also, your ads may appear on other websites and apps approved by Facebook, but don’t forget to pick the Audience Network placement. We will try everything and see what works best. Generally, there are two options for visuals: are you using one image or multiple images? Whichever option you choose, whether they are videos or an images, upload them or search it for one in the stock of free options. Tip: Remember that you can’t use ads that are more than 20% text. We used several images (which you can see below) and advise you to do the same. You can leave the best-performing ones running and switch off the others. Don’t forget to connect your ads to the appropriate Facebook page. 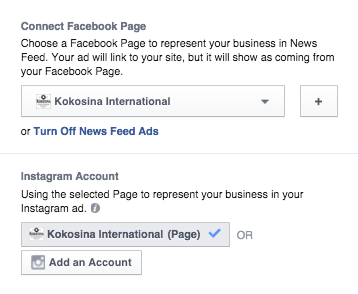 If you advertise on Instagram, you can connect your ads right to your Instagram profile (the most preferable option), or directly to your Facebook page. The main text can contain no more than 90 characters. If you still have something to add, use the Link Description field in Advanced Options. For the carousel format, you’ll have to fill all the description fields for every image. This means you can advertise several products all in one place! Make sure you have attached the correct link to each one. As for the call to action button, your best bet will be something like Shop now. This is optional, but calls to action are known to increase engagement. You can always preview your ads before starting. This is about choosing how to pay for your advertisements. The money you spend will be charged monthly. 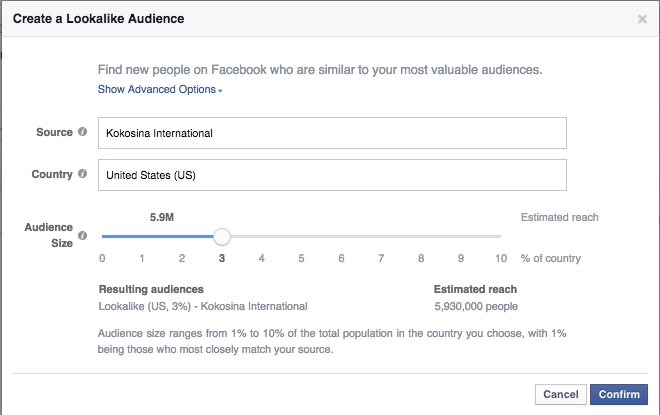 Learn more about Facebook rates before you start, as it might save you from a lot of headaches later. Tip: don’t attach your personal credit card to the ad campaign. You won’t be able to remove it without deactivating your account! The name and surname on the card must be the same as on your Facebook page, otherwise you’ll be banned. You can get around this limitation by using PayPal. Don’t forget to set a limit so you do not spend more money than anticipated. In total, we received 13 clicks to website having spent $3. The lowest cost per website click was $0.14. But the main result was a purchase that compensated it all. Look through the multiple ad creatives to choose from (5 images and 5 texts can perform 25 combinations) and find those that work best. Here you can find more tips for making your ads magnetic. 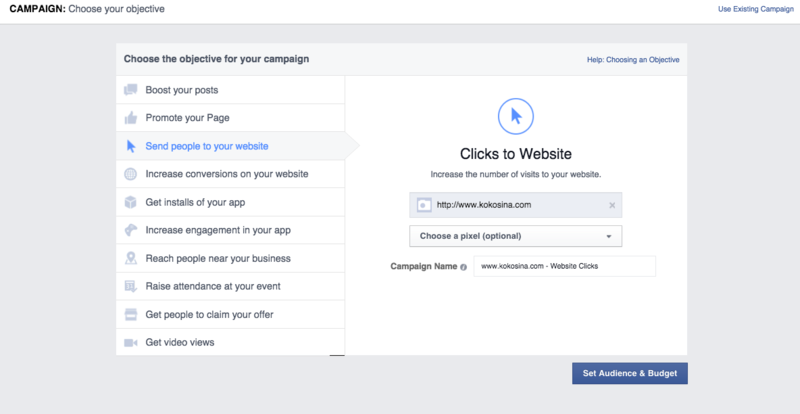 Add Facebook Pixel to your site to track conversions and to create Custom Audiences. Target to mobile devices only, but first make sure your site is mobile-friendly. Create several campaigns for different audiences and try to make ads as personal as you can. Don’t get scared to spend more on ads, as more money will often yield more results! Now it’s your turn! What has been your experience with Facebook advertising? Tell us below!